Sword Art Online. Sword Art Online has really beautiful art style. The background scenery is really beautiful. And pretty. It would be cool to live in a Virtual World like Aincrad. অথবা any of the worlds featured in SAO Series. (By the way i made the pic for SAO অনুরাগী Only). 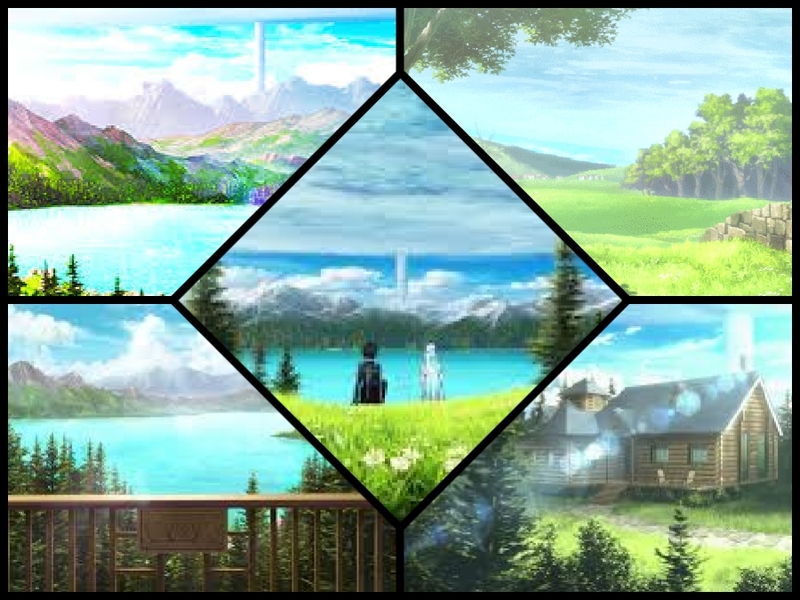 HD Wallpaper and background images in the যেভাবে খুশী club tagged: sword art online sao s.a.o background scenery. Although I'm pretty sure you can find many sceneries like these in the real world as well.